As Monster Hunter Turns 10, Can Capcom Finally Make the West Listen? Eurogamer's Wesley Yin-Poole interviews its creator Ryozo Tsujimoto to find out. 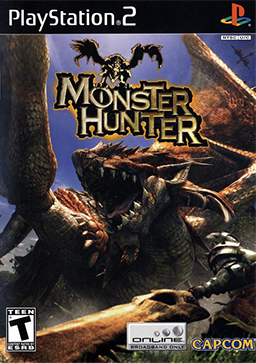 10 years ago yesterday Capcom released the first Monster Hunter game. It launched in Japan for the PlayStation 2 as part of a new initiative from Capcom's Production Studio 1 designed to test the waters of online console gaming. It was a triumvirate that included cel-shaded racing game Auto Modellista, the multiplayer-focused Resident Evil: Outbreak and, of course, Monster Hunter. Capcom hoped at least one would sell a million copies, what the company considered then to be the mark of a hit title. One did. The series exploded when it hit Sony's PlayStation Portable. Millions gathered at train stations and parks to play together over local wireless, hunting monsters, scoring loot, upgrading their characters. 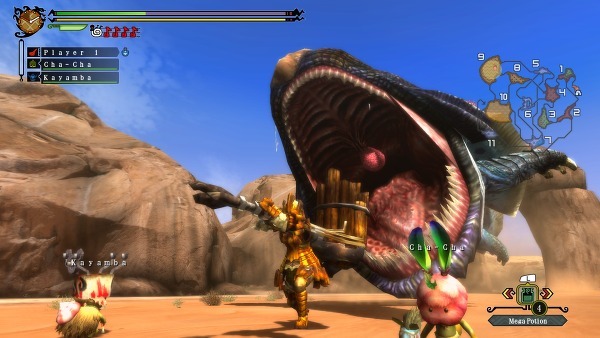 Monster Hunter became a Japanese social phenomenon and for Capcom, big business. Monster Hunter Freedom 3 for the PlayStation Portable is the fifth highest-selling Capcom game of all time, with 4.8m units sold. Monster Hunter 4, released last year in Japan for the Nintendo 3DS, is the seventh highest-selling Capcom game of all time, with 4m copies sold. And Monster Hunter Freedom Unite rounds out the series' dominance over Capcom's top 10 as the eighth highest-selling with 3.6m sold. Now, 10 years after the release of the first game, Monster Hunter is Japan's Call of Duty. 28 million Monster Hunter games have been sold in the past decade, spread over some 28 titles. The release of a new Monster Hunter game is an annual event in Japan. Each year, thousands queue up outside shops in fevered anticipating. And each year, Monster Hunter's importance to Capcom grows, as more globally-renowned series, such as Resident Evil, falter. But Monster Hunter has so far failed to break the West. It's had fleeting successes -- Monster Hunter Tri on the Wii didn't do badly -- but on these shores it remains a niche interest, enjoyed by a few hundred passionate, loyal fans who only occasionally meet to play. Monster Hunter 3 Ultimate for the Nintendo Wii U and 3DS was supposed to change all that. At least, that's what Monster Hunter's creator and producer Ryozo Tsujimoto told me a year ago. It didn't work out. With poor sales of the Nintendo Wii U, Monster Hunter 3 Ultimate hardly had a chance. And the 3DS isn't as popular in the West as it is in Japan. So now, in Capcom's UK office in Hammersmith, London, I meet Tsujimoto once again, with a hundred or so Monster Hunter fans in another room screaming and shouting as they play the game together -- locally. We chat to celebrate the 10 year anniversary of the series. We chat to talk about how it's made. And we chat about where it's going and whether, this time, with Monster Hunter 4 Ultimate for the Nintendo 3DS, the west will listen. "It's amazing to think back that, within 10 years, if you look at the Japanese releases, we've released almost 10 titles in 10 years. It's been quite a pace of development." When you think about the last 10 years what's the first thing that springs to mind? Ryozo Tsujimoto: When I hear the phrase '10 year anniversary', the first thing I think is, wow, has it really been 10 years? We've all got a lot older since we started Monster Hunter on the team. It's a decade of our lives. It's amazing to think back that, within 10 years, if you look at the Japanese releases, we've released almost 10 titles in 10 years. It's been quite a pace of development. It's been almost an annual event with the Monster Hunter franchise. I just think about the amount of stuff we've managed to put out in that time and the fact I'm not the young man I was when I started. When you first started, what were the goals with the first game? Even at that early stage, did you have a vision it would one day become one of the biggest franchises in Japan? Ryozo Tsujimoto: Monster Hunter was part of a plan to create three network-based games on the PlayStation 2: Auto Modellista, Resident Evil: Outbreak and Monster Hunter were all part of the same strategy. The goal was to have one of those titles or series be a million seller, if not straight away then down the line. Monster Hunter eventually reached that goal and went far beyond it in Japan. But thinking back to the time when we made the game, there's no way we would have imagined that. Making a network-based game was the original spark of an idea that became Monster Hunter. What was the most significant moment in the series' history that made the most impact in terms of Monster Hunter become a massive franchise? Ryozo Tsujimoto: What got us to that point? Rather than something we did, it was when the community really latched onto the title. Then we developed it together with them into something bigger than what we started with. That's the main reason we've been able to bring it to the level we have, rather than saying, we did one thing or we achieved a certain goal. It's always been the community response that has kept the series alive and has brought it to the heights we're lucky to have it at now. What is it about Monster Hunter that has led to its success? Ryozo Tsujimoto: It's a multiplayer action game, so you get together in a group and you play. The reason it appeals particularly in the Japanese market is it's very fair to people of all skill levels. You go out on a quest and you all go together and you take down the monster together and you all share the rewards. It doesn't matter who did what in the end. The game doesn't break down who did the most to kill it and then give that person more things. And the ones who didn't participate aren't denied the rewards. It's a group effort, and that really appeals in the Japanese market. It's something where, even if you're a newbie, you can play along with expert players and they can support you in playing along with them, and you don't feel like you're just useless or left behind. They can help you get involved in the game and then help you brush up your skills. It's that kind of communal play aspect that I think has been key to its popularity in Japan. When you sit down to think about the development of a new Monster Hunter title, what's the first thing you do? And then how does the development evolve? Ryozo Tsujimoto: Game development is often about an output of the ideas we have into game form, and putting it out there into the world. But I also take input very seriously, and what it is you take in from the community in order to make the next game or the next iteration. We have today a lot of community and fan events for the series. And in Japan in particular we have a lot on a regular basis. We go to these events and observe people playing the game and see how they're taking it in, and how they're playing the latest entry into the series. That direct feedback from the community is really important to me and the team. We'll take the temperature of the current title as it's being received, and then directly feed that back into our process of what we want to do with the next title in the series. That kind of process and flow we have has been very useful for the series. Whenever we think about what we want to challenge next with the series that's always a key element in how we think about what direction we're going to take it in. It's obvious we're not going to suddenly turn the game into something it's not. It's not going to become a puzzle game or a shooter or something with the next title. So, outside of the scope of such drastic changes to the core concept, we'll look at what kind of thing we could add to the game that would shake it up while still keeping it in the same area. One example is the water-based environments that were introduced for 3 and 3 Ultimate. That was something where it was an idea, but we also said, well, what could we get out of that in terms of gameplay, and how exciting would that be for the players, and what would that bring to the table? If it seems like a good idea we'll put it in. That's how we approach where to go next: whether that will will make the next title interesting and exciting, based on what we've seen from the community, and combined with ideas we have in our own heads about what could be incorporated. This time last year you told me you hoped Monster Hunter 3 Ultimate would help secure a breakthrough for the series in the West. Do you feel you achieved that? Ryozo Tsujimoto: It would have been impossible to imagine five years ago we would be able to get over 100 people together to bring their game systems to play Monster Hunter in the West. We definitely aren't sitting on our laurels with the achievements we've had with the last title and its sales. But we want to bring the title to even more people and increase the player base with the next iteration of the series. We've definitely developed the community greatly from when it started in the west, from when the first title was released here. We've got to a great place now, but we're not stopping. We're going to keep going and we're looking forward to being able to achieve greater heights with the community and with the next Monster Hunter titles over here. "Monster Hunter 4 has got online play for the first time in a portable entry in the series. That's going to mean we've got a whole new stage we can bring the community to." But what can you do beyond what you've done previously to increase the popularity of Monster Hunter in the West? Ryozo Tsujimoto: Monster Hunter 4 has got online play for the first time in a portable entry in the series. That's going to mean we've got a whole new stage we can bring the community to. We have our community members now who love to meet up and play the game on local wireless. We hope they can be ambassadors for the title, so when we get more people into the next one and they want to play online, they've got a whole gang of people waiting there who know the game inside out. If they're newcomers to the series and not sure what to do, or they want to go on a quest but they don't want to go alone, if we can use our built-in community as a way for people who are new to say, don't worry, we're here and we'll give you a helping hand, then that's going to be a great way to expand the size of the community. And then of course people who join that way, perhaps through online play as a first step, will then hopefully get involved in the game community itself and then they'll be motivated to come and join some of the meet ups and get involved in the whole community spirit. So, the online functionality will be a big step in the west in growing our community size even larger than it is today. A lot of people say they would buy Monster Hunter if it was available on non-Nintendo hardware. Why not release the game on some of the platforms that are more popular in the West, such as the PlayStation and the Xbox? Ryozo Tsujimoto: I mentioned earlier that when we think about the next title we think about what challenges we want to take on and what new aspects we think would make the next title in the series something we're excited about working on. In the case of bringing it to the 3DS, it's obviously a unique piece of hardware. Not only do you have the double screens with the touchscreen, but also the 3D effect. So the motivation for that platform choice in particular is very much based in the challenge to the development team of what could we make of Monster Hunter on this hardware with its unique features? And then we see what we can do with that on the hardware. But what about Xbox and PlayStation? Those platforms are more popular in the West than 3DS. Wouldn't Monster Hunter be more popular in the West if it was on the platforms that are most popular in the West? Ryozo Tsujimoto: It's based on resources. Frankly, it's not like we have some multi-thousand member development team on this game. It's about 150 people on the Monster Hunter development team. We want to focus at the moment on each platform we decide to bring it on and do the best we can on that platform, given what we have to work with. We want to be able to make each title the best it is. That's where we are now. That's why we don't try to spread ourselves too thinly. Can you understand where people who call for Monster Hunter on other platforms are coming from? Ryozo Tsujimoto: It's a good mark of the interest and buzz around the title if people are clamoring for it to come to their own favored platform. It's better than people not talking about the title. But, we prefer to follow through fully on our decision to choose a certain piece of hardware. "It's a good mark of the interest and buzz around the title if people are clamoring for it to come to their own favored platform. It's better than people not talking about the title." Monster Hunter 3 Ultimate launched for 3DS and Wii U. Will Monster Hunter 4 Ultimate also? Monster Hunter 4 Ultimate is coming to the west on 3DS. But you haven't announced it's coming to Wii U, as Monster Hunter 3 Ultimate did. Do you plan to release it on the Wii U? The reason you should is because if you did, you could call it Monster Hunter 4U. Ryozo Tsujimoto: Yeah, that title naming would be a lovely coincidence. That would be pretty sweet. At the moment we're focused on 3DS, purely because with the previous title, the 3DS version couldn't go online on their own. There was a system to bring them online in conjunction with the Wii U console, but they were only local wireless play by themselves. In 4 Ultimate, it will be online play just on the 3DS. We really want to see how having just a single platform online multiplayer game works out. So at this time we're focusing on the 3DS version. Monster Hunter 4 in Japan was also 3DS only. You did create one Monster Hunter game for Xbox 360: Monster Hunter Frontier Online. It was an MMO, so why didn't you launch in the West? Ryozo Tsujimoto: I didn't work on Frontier. That was a separate group at Capcom, so I wouldn't want to speak for their motivations on that. I deal with the console, including handheld, side of the franchise, which is the main side. That was a separate concern. It's Ono-san from the Street Fighter series who handled that. It was a different group. Monster Hunter is 10 years old. What will it be like in another 10 years? Ryozo Tsujimoto: I wonder if I'll still be working or retired by then! My first instinct is to worry about my own health! It's never going to be drastically changed out of the fact it's a multiplayer action title. We'll still be pursuing the ultimate we can make in that arena. And we'll continue to use this process I mentioned. It's like World of Warcraft, whenever they put out an expansion it's always had a lot of feedback from the fanbase incorporated into it every time. They keep putting it through that cycle. We will do the same thing we have been doing, which is every time a title comes out we take the player base's concerns seriously and try to plug that feedback straight into the next title to develop it. If I have to think about what I hope it will be in 10 years, I'd like to think we will have refined the action part of the gameplay even further, that it will get better and better with every iteration. Trying to picture that title in my head is quite difficult. Tagged with 3DS Handhelds,	Capcom,	Interviews,	Nintendo,	PlayStation2,	ryozotsujimoto,	Wii Consoles,	Wii U.